The following biographies are for the 2016-2017 AIB Executive Board. The board served from August 1, 2016 to July 31, 2017. Masaaki Kotabe holds the Washburn Chair Professorship in International Business and Marketing at the Fox School of Business at Temple University. Prior to joining Temple University in 1998, he was Ambassador Edward Clark Centennial Endowed Fellow and Professor of Marketing and International Business at the University of Texas at Austin. 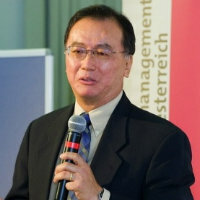 Professor Kotabe also served as the Vice President of the Academy of International Business (AIB) in the 1997-98 term. He received his Ph.D. in Marketing and International Business and his MBA degree in Marketing from Michigan State University, and his BS degree in Law and Economics from Chiba University in Japan. 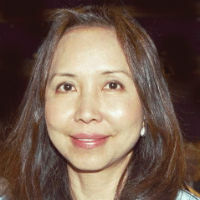 Professor Kotabe's key areas of teaching include international marketing, global sourcing strategy (R&D, manufacturing, and marketing interfaces), and Asian business practices at the undergraduate and MBA levels and theories of international business and research methodology at the Ph.D. level. He has lectured widely at various business schools around the world, including Austria, Germany, Finland, Norway, Sweden, Turkey, Brazil, Colombia, Mexico, China, Japan, Korea, Indonesia, and Vietnam. For his research, he has worked closely with leading companies such as AT&T, Kohler, NEC, Nissan, Philips, Sony, and Seven&i Holdings (parent of 7-Eleven stores), and served as advisor to the United Nations' and World Trade Organization's Executive Forum on National Export Strategies. He also held the Philips do Brasil Chair Professorship in International Business at Fundação Getúlio Vargas in São Paulo, Brazil. Professor Kotabe has written more than 100 scholarly publications. His research work has appeared in such journals as the Journal of International Business Studies, Strategic Management Journal, Academy of Management Journal, and Journal of Marketing. His books include Global Sourcing Strategy: R&D, Manufacturing, Marketing Interfaces (1992), Japanese Distribution System (with Michael R. Czinkota, 1993), Anticompetitive Practices in Japan (with Kent W. Wheiler, 1996), MERCOSUR and Beyond (1997), Market Revolution in Latin America: Beyond Mexico (with Ricardo Leal, 2001), Emerging Issues in International Business Research (with Preet Aulakh, 2002), Global Supply Chain Management (with Michael J. Mol, 2006), SAGE Handbook of International Marketing, (with Kristiaan Helsen, 2009), and Global Marketing Management, 6th ed. (with Kristiaan Helsen, 2014). 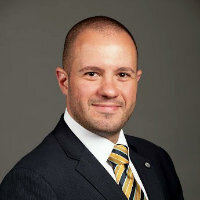 He currently serves as the Editor of the Journal of International Management, and also serves / has served on the editorial boards of the Journal of International Business Studies, the Journal of Marketing, the Journal of the Academy of Marketing Science, the Journal of International Marketing, the Journal of World Business, the Journal of Business Research, and Thunderbird International Business Review, among others. In 1998, he was elected a Fellow of the Academy of International Business for his significant contribution to international business research and education. 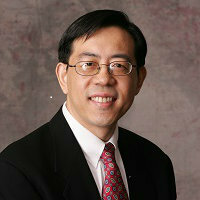 He is the recipient of the 2002 Musser Award for Excellence in Research at Temple University. 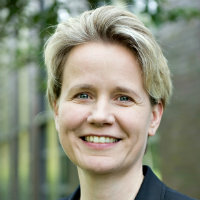 Sarianna Lundan holds the Chair in International Management and Governance at the University of Bremen in Germany. She received her BSc, MBA and PhD degrees from Rutgers University (US), and has held prior appointments at the University of Reading (UK) and at Maastricht University (The Netherlands). She is a Finnish citizen, and has also been an Associate Research Fellow at the Research Institute of the Finnish Economy (ETLA) in Helsinki. She was part of the team that was successful in getting the University of Bremen admitted to the group of eleven leading research universities in Germany, and she currently serves on the Future Commission of the University. 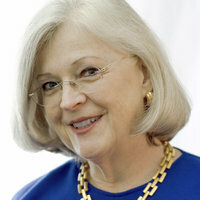 She has published widely in journals and books, and has co-authored with John H. Dunning the second edition of Multinational Enterprises and the Global Economy, which continues to be an influential reference work in the field of international business. She currently serves on seven editorial boards, including JIBS, IBR, MBR and GSJ. She has also participated extensively in the work of UNCTAD in connection with the World Investment Reports and the Investment Policy Reviews, and served briefly as a Senior Economic Officer in Geneva. Her dissertation dealt with environmental regulation in the pulp and paper industry, and the core themes from this work still occupy her today. The first of these concerns the role of MNEs in shaping the institutional environment in which they operate, as well as their ability to benchmark and transfer practices across borders. The second theme concerns the relationship between the state and MNEs, particularly in terms of reconciling the developmental and social objectives of the state with the long-term objectives of the foreign investor. Her current research interests focus on the transformative effects of the introduction of new institutions and new forms of governance by MNEs through various types of public and private partnerships in the host country. She is an elected Fellow of the European International Business Academy (EIBA) and served as the President of EIBA in 2013, responsible for the organization of the annual conference in Bremen. She has served as a faculty panel member and chair of the AIB Doctoral Consortium in 2013 (Istanbul) and 2014 (Vancouver) and as a faculty member in the AIB/JIBS PDW in 2011 (Nagoya). 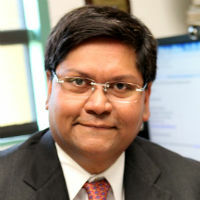 Dr. Kundu's research interests encompass multinationality and performance, emerging market multinationals, born global and born regional firms, offshoring and outsourcing, internationalization of service firms, and theory of MNE. 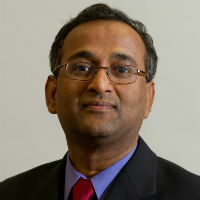 He has published articles in Journal of International Business Studies, Journal of Management Studies, R&D Management, Management International Review, Journal of World Business, Journal of International Management, Journal of International Marketing, Journal of Business Research, Journal of Business Ethics, Leadership Quarterly and Small Business Economics. 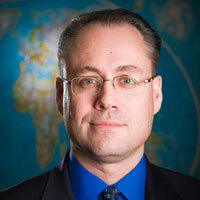 He also serves on the editorial boards of several international journals. Maria-Alejandra Gonzalez-Perez (PhD, MBS, Psy) is Full Professor of Management at Universidad EAFIT (Colombia). Maria-Alejandra is the coordinator of the Colombian universities in the virtual institute of the United Nations Conference for Trade and Development (UNCTAD), Distinguished Fellow of the Association of Certified Commercial Diplomats; and Editor-in-Chief of the business journal AD-minister. Dr. Gonzalez-Perez holds a PhD in International Business and Corporate Social Responsibility, and a Master’s degree in Business Studies in Industrial Relations and Human Resources Management from the National University of Ireland, Galway. She also did postdoctoral research at the Community Knowledge Initiative (CKI) in NUI Galway. Prof. Gonzalez-Perez is the past Head of the Department of International Business (2009-2013) and former Director of the International Studies Research Group (2008-2013) at Universidad EAFIT (Colombia). 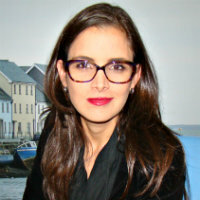 Prior to her positions in Colombia, she worked as a researcher in various organisations such as the Centre for Innovation and Structural Change (CISC), Irish Chambers of Commerce, and the Economics of Social Policy Research Unit (ESPRU) in Ireland. Dr. Gonzalez-Perez has edited 8 books, and has published several academic papers and book chapters in the areas of firm internationalisation, corporate social responsibility and international migration. She is a regular contributor to Latin American business media. Her research results have been presented in over 60 international academic conferences in all the continents. Also, she was trained as a Clinical Psychologist at the Universidad Pontificia Bolivariana (UPB) in Colombia. Maria-Alejandra has lived, studied or worked in the UK, USA, Ireland, France, Spain, and Colombia, and have traveled as a tourist to over 50 countries.